Mrs Patricia Lewington Secretary, Royal Yacht Squadron. 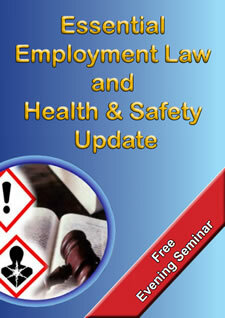 Mark Elliott has looked after the RYS Health and Safety requirements for several years. We are delighted with his work and we now have in place a sensible and workable system which he regularly reviews and updates. We can highly recommend Mark to any organisation looking for a one stop shop for their Health and Safety needs. Simon Rhodes Health, Safety & Environmental Manager. Gurit. 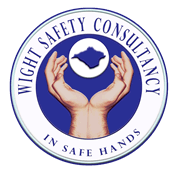 Wight Safety have consulted for my company and I have found that they bring a practical, common sense approach to Health & Safety. This is backed up with a wealth of experience and technical competence on a wide range of specialities. The training they provide is delivered in a friendly and professional manner. Terry Prosser Director, Gurnard Pines Holiday Village. Wight Safety have for the past year, helped and supported Gurnard Pines in developing a good Health & Safety culture, whilst being flexible enough to address individual needs to respond to specific enquiries from our corporate customers, assisting us to win contracts and develop the business further. John Gould Facilities Manager, GKN Aerospace. He brought (Mark Elliott) some good practice and ideas to GKN he was very professional at all times this is a very complex business with many high risk production areas he settled into the role with ease he was extremely dedicated to ensure the GKN business was not at risk, he has good practical skills that are required to get a full understanding of the risks associated to our business. Noni Dixon Director, Zen Beauty & Hair Ltd.
We can’t recommend Wight Safety highly enough. Mark went out of his way to do the Fire survey of the business premises at a time that would cause least disruption. His advice and report was easy to understand and highlighted any areas of concern. Mark made the often prickly subject of Fire Health and Safety much easier to understand. It was reassuring knowing that a professional was writing the report that would ensure my staff and clients would be well protected in the future. Carrie Almond School Development Manager, Lanesend Primary School. When the changes took place that schools would have to procure their own Health and Safety we explored a number of options, we chose Mark Elliott on the basis that he was a local provider and had the skills and expertise we required. Mark has supported us by writing our general risk assessment and fire risk assessment for the school, this was important as we had moved to a new building. He has also written our risk assessments for our residential trips and has taken time to visit the school and understand the needs of the children attending to ensure we are safe. This year Mark is going to deliver Fire Marshall training, review our risk assessments and carry out our annual audit. Mark has been very supportive and is available via email, phone or visits to the school when we have queries and questions. I can highly recommend Mark as a Health and Safety Consultant. Wayne Tetley Head of Projects, CDSRail. CDSRail used Wight Safety to carry out a review of its Health and Safety Processes earlier this year (2013). Mark Elliott provided a helpful and practical service. Marion Duddigan Corporate Furniture & Interiors Ltd.
We have worked with Mark since 2001 to ensure we fully comply with all the current Health and Safety regulations, and, just as importantly, keep up with all the changes! Mark supplies all our in-house training and practical assessment tests and has become an important bridge between ourselves and the staff as we all attempt to achieve a safe working environment. The three scheduled training sessions went really well. Mark managed to pass on the necessary information to our staff in a friendly but no nonsense manner, encouraged interaction and held everyone’s attention. The sessions were a great success.